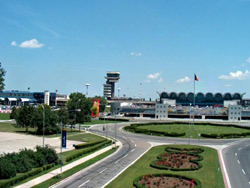 The airports in Bucharest are among the most popular with passengers residing in North Bulgaria. The first prerequisite for that is the distance. Varna - Bucharest is 270 km, and Varna - Sofia is 450 km. The distance from Ruse to Bucharest is only 70 km. The second prerequisite is the price of the air fare, which in most cases is several times lower compared to the plane tickets purchased from Varna Airport. There are significant differences in the air fares for the different destinations. That is why more Varna citizens use the airports in Bucharest. For this reason, we offer cheap transfer from Varna to Bucharest and back, which is a good alternative to the taxi and coach transport on the route Varna-Bucharest-Varna. on the route VARNA-BUCHAREST and BUCHAREST-VARNA! Odessos Sigma 6 travel agency organises excursions to the most popular resorts and landmarks in Varna region and on the Bulgarian Black Sea coast.